Gwyneth Paltrow has gotten a bad rap over the years. They say her lifestyle is…unattainable. To that I say, pish posh. I do not live a privileged Gwyneth-style life, but I am intrigued by a Goopified existence. Last month, Gwyneth gave an interview to the New York Times about her beauty routine. Yes, the New York Times. It was a morning to night account of every product and process she puts on her hair, face, and body. Racked.com actually broke it down and discovered that Gwyneth spends about $1,625 on beauty. That’s hair, body, skincare and makeup. The bulk of that spend ($737) is on skincare. I, firmly rooted amongst the regular and non-famous class of humans, decided to recreate her beauty routine, as a sort of experiment in how the 1% lives. Would I look like a porcelain-skinned adonis after spending $737 on skincare ? Is it that much better? Is my Cetaphil moisturizer basically paste compared to the Goop products she slathers on hers? The bulk of my *research* came from her recent New York Times article. 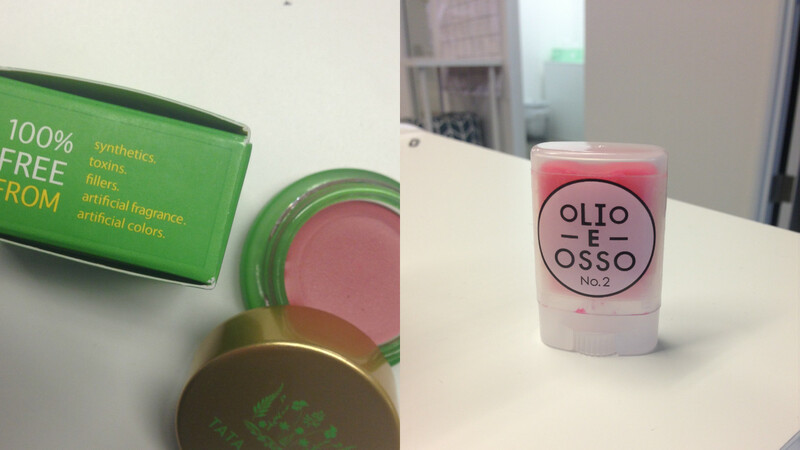 Ancillary beauty scoop was picked up from this Into The Gloss interview and this Elle profile. Disclaimer: I personally didn’t spend $737 in product. I only did her skincare and makeup routine and used samples sizes for most, while a few other products were received for free from the brands themselves. OMG, could you imagine if I spent almost a grand on my face?! I’m a Gwyneth fan, I’m not crazy, you guys. 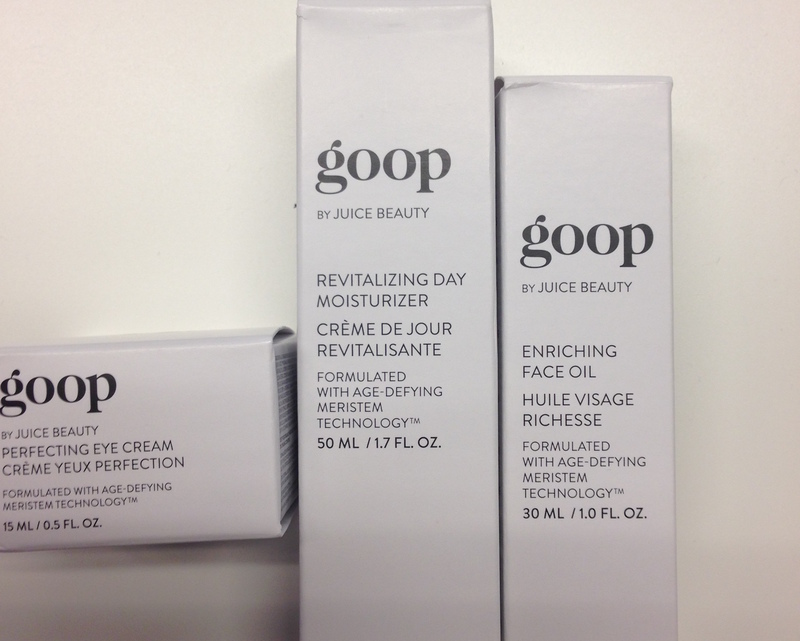 What it is: Eye cream, moisturizer, and face oil from Gwyneth’s own Goop label. I used this three-step process morning and night for roughly two weeks. The first three ingredients in the Goop moisturizer are aloe, apple, and lemon juice. No shade to my trusty JUG of Cetaphil moisturizer, but the first three ingredients in that are water, glycerin and petrolatum. You know, petrolatum, that thing that is a by-product of oil drilling and is bad for the environment. What I thought: I’m not gonna lie, Goop products are great. They smell like a Caribbean vacation and make my skin feel soft and glow like a CW actress. I didn’t notice a revolutionary change in my skin, but it felt great and it didn’t break me out. 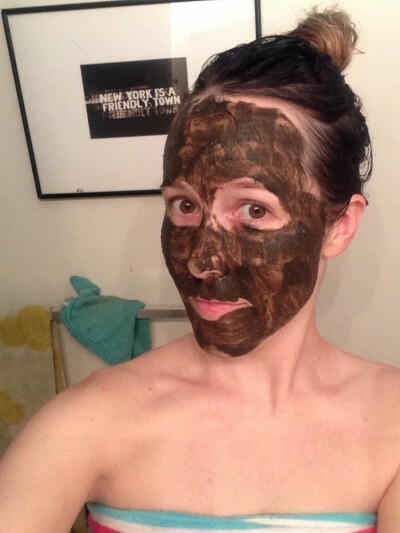 What it is: This correcting mask (sorry, masque) is from one of Gwyneth’s favorite brands, May Lindstrom. It has DIY-worthy ingredients like clay, seat salt, and cinnamon. Natural AF. It claims to heal blemishes, tighten pores, reduce inflammation and reveal softer and more radiant skin. What I thought: First of all, this masque did everything it claimed to do. I was breaking out a little when I first tried it and it dried up the zits and made my skin super soft and bright. Also, you have to mix the powder formula with water and apply it with a brush (which was included) so I felt like I was giving myself an at-home facial which made me feel fancy. Also, it sits on your skin for 45 MINUTES! At first I complained that this was too long, but then I just let it bake while scrolling through Snapchat and it was a nice way to end the day. I’m considering using this thing every damn day because I want to be easy and breezy and makeup free like a celebrity on the way to yoga! 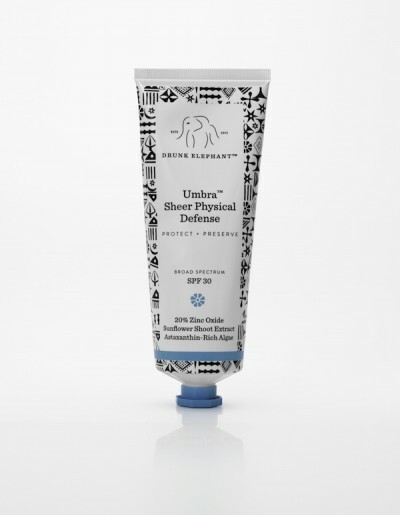 What it is: It’s a physical sunscreen formulated with Zinc Oxide, which is different than probably all sunscreens you’ve ever used. Gwyneth doesn’t use chemical based sunscreens (like avobenzone and oxybenzone), basically the sunscreen aisle at your drugstore are all chemical-based. Some people are allergic to chemical-based sunscreens and they also sometimes contain parabens, which are carcinogens. What I thought: I’ve always known that my regular chemical sunscreen would irritate my eyes, but I would just deal with it. Well, no longer. I’m never going back to chemical based sunscreens. I used this bad boy every day. This particular brand was a little white on the skin and took a lot of blending and I don’t know how great it is for darker skinned individuals, but damn, this SPF was like a sunscreen and a primer in one. This photo taken BEFORE the skin luminosity set in. What it is: Gwyneth works out every single morning. She says that exercise is just as much a part of her beauty routine as it is her fitness routine. Gwyn specifically loves the Tracy Anderson Method. What I thought: Let’s just get this out of the way, I attempted this. I ended up working out two mornings in a row and then gave up. It’s hard to hit the gym every single morning. 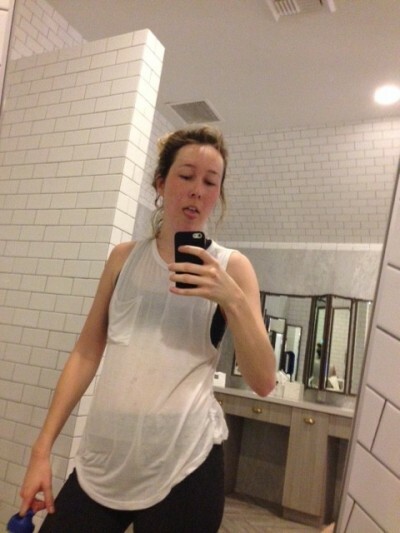 Also, I have gone to Tracy Anderson Method (for a story, duh) and it’s really hard. One morning I did go to pilates (because I felt like Gwyneth would approve of pilates), and my coworker said I was GLOWING. Imagine working out every morning? Is that why all of Hollywood has literally glistening skin? Because they all go to the gym in the morning? Hmm. What it is: After exercising in the morning, Gwyneth washes her face with only water. No cleanser. I actually consulted my dermatologist about this who conferred that Yes, you DON’T have to wash your face with cleanser in the morning because it’s not getting dirty while you sleep. MIND BLOWN. What I thought: While it felt like a strange practice, I did this every morning for a few weeks and my skin was less dry and more supple in the morning. I swear, this Gwyneth, she’s onto something. What it is: Gwyneth says that when she’s in LA, she’s very outdoorsy. After an outdoor activity, Gwyneth says she has to wipe her face immediately after. 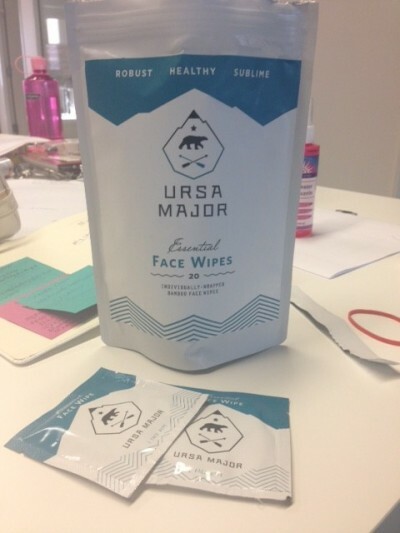 She uses these face wipes by Ursa Major. Regular face wipes should be used sparingly because they leave a chemical residue on your skin. FUN! But of course, the ones Gwyneth uses are petrochemical, sulfate, paraben, synthetic fragrance or color, glycol, silicone and PEG-free. You could literally use these face wipes as a face mask or sleep in them. How I thought: I went on a long outdoor walk, in Gwyneth’s honor, and then I wiped my face with the wipes. They smelled like a day spa and gave me the feeling that I had legit washed my face, rather than just wiped them. Does that make sense? They were great. Everything Gwyneth uses is great! 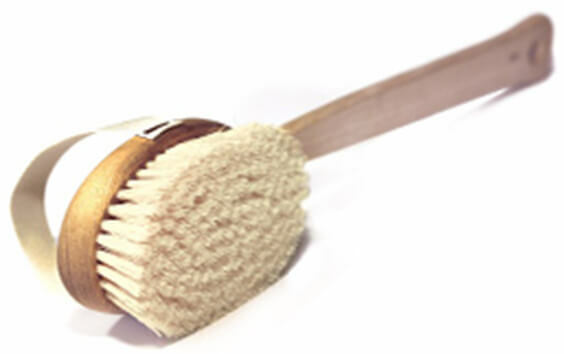 What it is: Drybrushing is the act of brushing your body with natural bristles. Word on the street is that dry brushing is good for the lymphatic system, but after I read this article, I discovered it’s basically only proven to be good for exfoliating your skin. MORE LEARNING! What I thought: I shockingly had never heard of the dry brush technique which is insane because I’m a sucker for all things at the intersection of beauty, celebrity, and internet. I almost bought a tooth whitener that Kylie Jenner endorsed. I immediately bought a dry brush on Amazon for $6. I’m sure Gwyneth spends more, but whatevs. She didn’t specify, so here we are. To be honest, I didn’t really feel anything happening. Was my skin flaking off? I didn’t notice. I only did this twice because it was boring. Whoops. 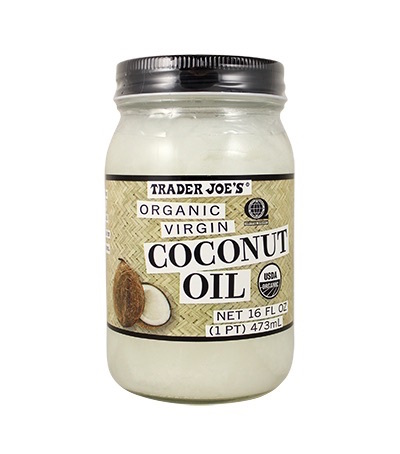 What I thought: I’ve been putting coconut oil INSIDE MY NOSE for years (got a dry nasal canal, what can I say) so this one was a no-brainer. Covering my legs in coconut oil not only worked better than most moisturizers, but it was cheap as hell. It works best at night and if you sleep in pants. The oil WILL stain your sheets. What it is: Gwyneth’s brand is basically based around her wearing hardly any makeup. Gwyneth sticks to the basics. Literally three basics. Lip tint, cheek tint, and mascara. She uses an Olive Oil and grapefruit based Olio E Osso lip balm, 100% all-natural Tata Harper cheek tint, and Juice Beauty’s non-toxic mascara. What I thought: I was nervous as hell for this part of the experiment because I don’t have great skin. I usually always wear foundation or at least a BB cream and if I don’t wear foundation, I don’t wear any other makeup and adopt an “I’m going straight to the gym don’t look at me!” vibe. I had to sub regular mascara for the non-toxic version Gwyn loves, but overall, I was shocked by how glowy my skin looked. I was also pleasantly surprised by the quality of this natural makeup. 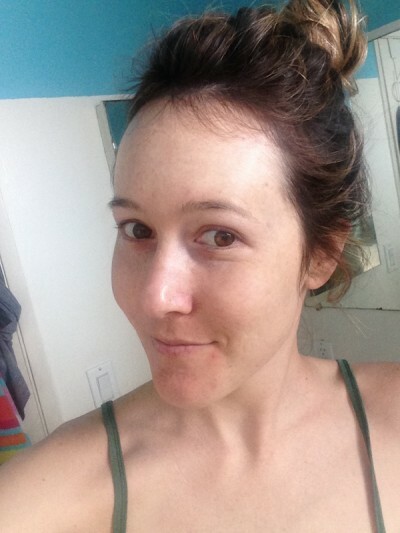 I had so many pre-conceived notions that natural makeup just, didn’t work? I was feeling myself so I posted a selfie. I am now fully obsessed with Zinc-based sunscreens and will keep using them because they don’t irritate my skin at all. 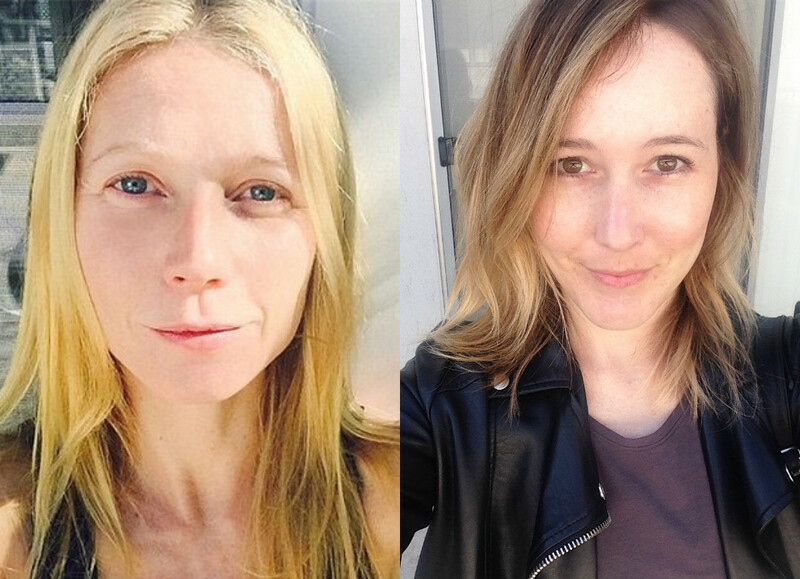 I’m not transitioning over to Gwyneth’s GOOP line or even her go-to masque because $$, but they were highly effective products. I’m ditching face wipes. While I’m not going to keep buying Gwyn’s favorite brand (because again, $$), I now know not to rely on face-wipes and just properly cleanse at night. I stopped washing my face with soap in the morning and my skin is soooo much more hydrated. Coconut oil is great! Messy, but great! Drybrushing, ehhh. I can take it or leave it.